Effect of vitamin C on blood glucose, serum lipids & serum insulin in type 2 diabetes patients. A meta-analysis of twenty nine trials confirms that a mere 500mg of vitamin C a day lowers high blood pressure by 5 points in eight weeks. This study, published in the American Journal of Clinical Nutrition, confirms this important effect of vitamin C. However, higher doses may be even better. In one study, those given 2 grams of vitamin C a day for 30 days had a 10 point drop in systolic blood pressure. This is comparable to the effect you can get with hypertensive drugs such as ACE inhibitors. Taking high- dose vitamin C makes a lot of sense if you have heart disease, because it does lower LDL cholesterol when given to healthy people, diabetics and people on kidney dialysis, and it has also been shown to reduce arterial thickening. It is also an anti-inflammatory and may help, together with vitamin E, to stop the oxidation, or damage, of cholesterol. 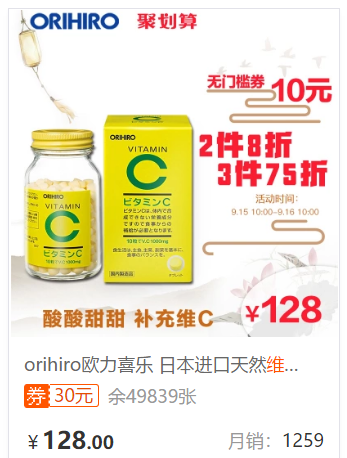 A recent study of almost 60,000 people in Japan reports that vitamin C intake is strongly associated with a reduced risk of heart disease, especially in women, cutting risk by a third. Another reports that vitamin C, with vitamin E, slows down atherosclerosis. 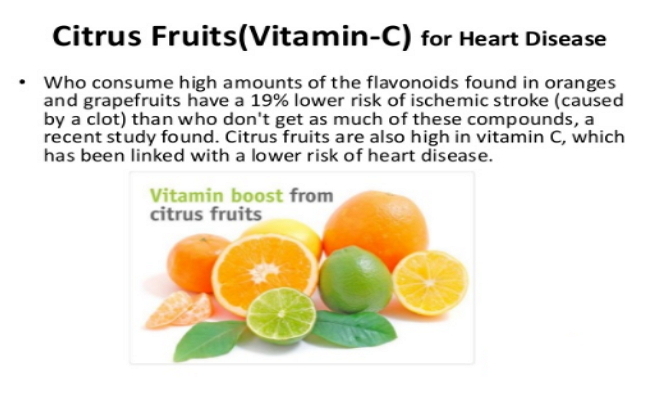 Many diet studies also find that the higher your dietary intake of vitamin C the lower your risk. It also lowers risk of diabetes by 62%, if you consume at least 1 gram a day. 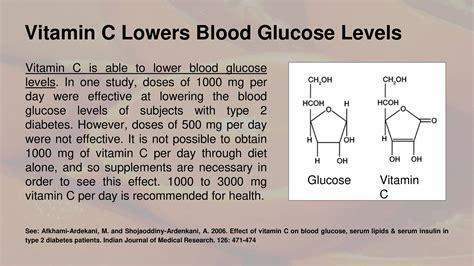 Diabetics given 1g of vit C have a significant decrease in both their blood sugar levels and glycosylated haemoglobin, as well as triglycerides and cholesterol. Unlike the drug alternatives such as ACE inhibitors and diuretics, which knock out zinc and magnesium respectively, both important for cardiovascular health, there are no adverse effects of taking vitamin C. It is also less expensive. So, why don't doctors recommend everyone with cardiovascular disease or diabetes take 2 gram a day, which is what I take? You know the answer: because mainstream medicine has an unhealthy bias towards drugs and away from supplements because drugs are patentable, profitable and heavily marketed to doctors, while vitamins are not. If you'd like to find out more I'm giving seminars in Ireland and the UK on how to prevent and reverse both heart disease and diabetes. Also read Ten Secrets of Healthy Ageing, Say No to Diabetes and Say No to Heart Disease. Indian J Med Res. 2007 Nov;126(5):471-4. Diabetes mellitus is one of the most common metabolic disorders that causes micro- and macro-vascular complications. Because of additive effects of hyperglycaemia and hyperlipidaemia for cardiovascular diseases, lipid abnormalities should be evaluated in diabetes. As vitamin C is known for its beneficial effects on serum lipids and glycated haemoglobin (HbA1c), we evaluated the effect of different doses of vitamin C on blood glucose, serum lipids and serum insulin in individuals with type 2 diabetes mellitus. A total of 84 patients with type 2 diabetes referred to Yazd Diabetes Research Center, Iran, were included in the study. They received randomly either 500 mg or 1000 mg daily of vitamin C for six weeks. Fasting blood sugar (FBS), triglyceride (TG), total cholesterol (TC), low and high density lipoprotein (LDL, HDL), glycated haemoglobin HbA(Ic) and serum insulin were measured before and after vitamin C consumption and the results were analyzed. A significant decrease in FBS, TG, LDL, HbA1c and serum insulin was seen in the group supplemented with 1000 mg vitamin C. The dose of 500 mg vitamin C, however, did not produce any significant change in any of the parameters studied. Our results indicate that daily consumption of 1000 mg supplementary vitamin C may be beneficial in decreasing blood glucose and lipids in patients with type 2 diabetes and thus reducing the risk of complications.